Pow, cacao, wow! This one swept us off our feet – some might say it was love at first bite. The delicious and beloved cacao combines with the nutty flavour of Wattleseed and the tang of Davidson Plum for a unique, flavour ride that will have you falling hard. 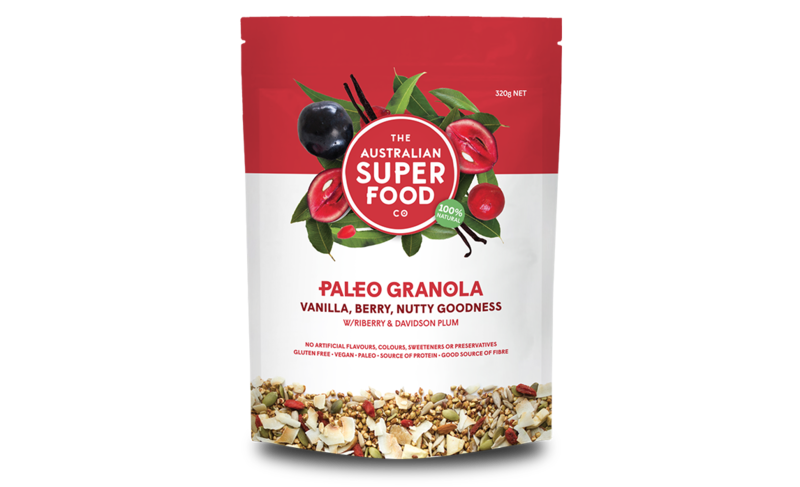 In this fantastic granola, we’ve opted for a combination of Australian grown cacao, and two of our prize Australian Superfoods; Wattleseed and Davidson Plum. 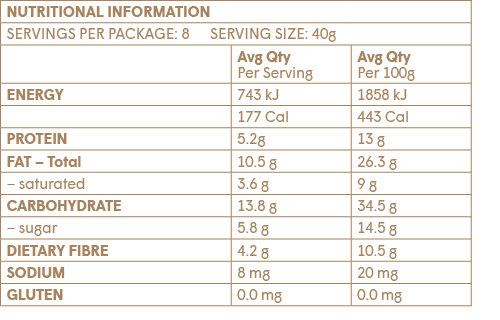 While cacao is rich in antioxidants, Wattleseed has a low GI (great for sustained energy levels) and is a very rich source of protein. Did you know that Wattleseed is now being grown in Africa to provide protein to drought-affected populations? Last but not least, is Davidson Plum, full of Vitamin E, zinc, lutein and calcium for supple skin, strong bones and healthy eyes – what’s not to love? Seed Blend (Sunflower Seeds, Pepitas, Brown Flax Seeds, Golden Flax Flakes, Sesame Seeds, Poppy Seeds], Buckwheat Groats, Dried Fruit (Dried Cranberries, Dried Sour Cherries, Dried Pomegranate, Dried Blueberries, Flame Raisins, Dried Orange Peel), Almonds, Coconut (8%) (Flakes, Toasted Chips), Native Superfood Blend 2.5 % (Finger lime, Wattleseed, Davidson Plum, Finger lime, Quandong, Kakadu Plum, Riberry), Maple Syrup, Coconut Sugar, Cacao (3.5%) (Powder, Nibs), Pomegranate Molasses. 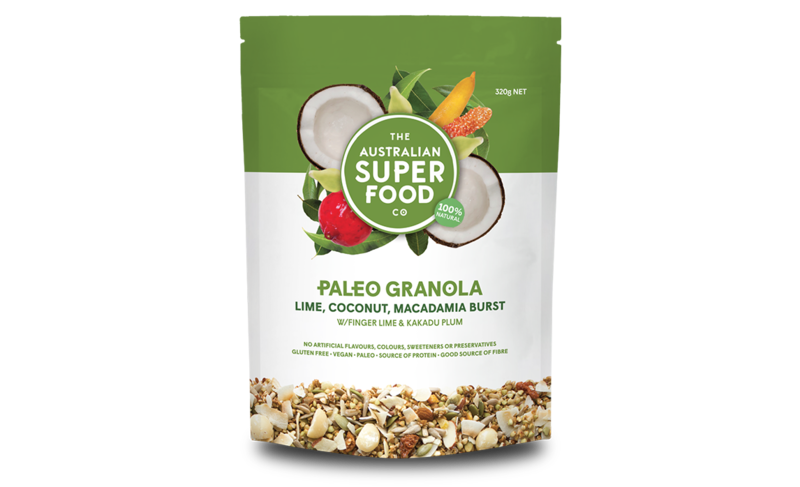 Love this granola! 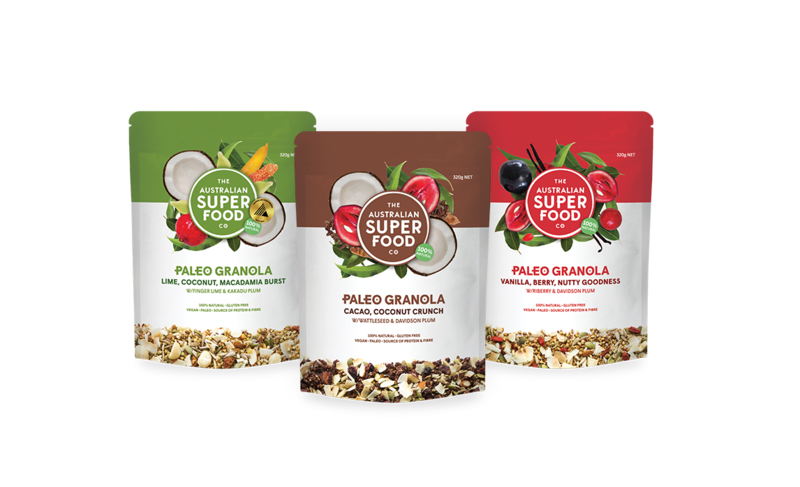 Not only do I love the fact I am fueling my body with this healthful granola packed with protein, vitamins and minerals , it is also absolutely delicious. 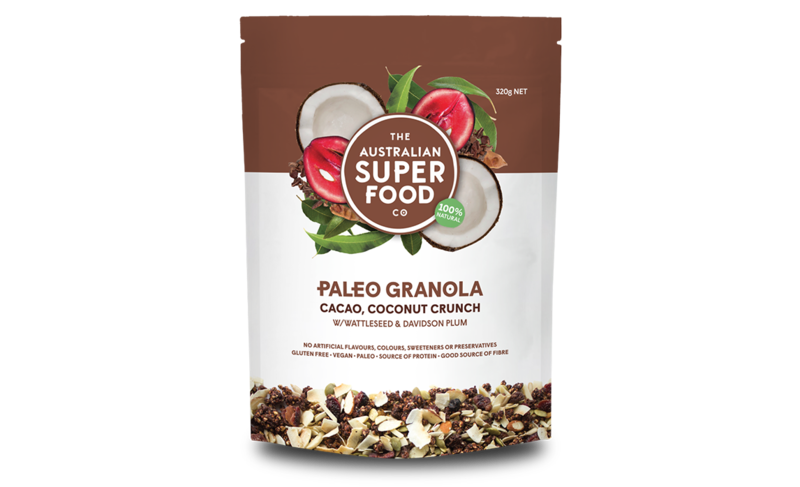 I love this on top of a bowl of cononut yoghurt and fresh berries.